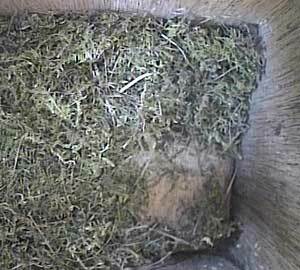 I am still surprised that Ann hasn't finished off her nest in Box1. 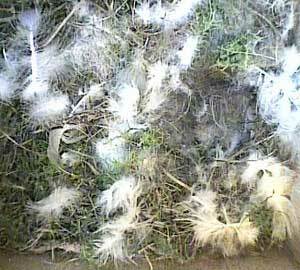 You can still see the floor of the nest box in this picture. Nothing much seems to have happened for the best part of a week. Box2 on the other hand, appears to be more or less finished. And yet Ann roosts in Box1, but Bella roosts elsewhere!